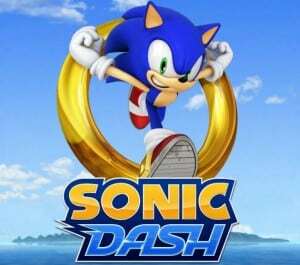 The new Android game by Sega, Sonic Dash, is the latest hit in the endless runners’ category. Featuring Sonic the Hedgehog, the perfect character for a running game, Sonic Dash is one of the most challenging and entertaining games released lately. Today we will present you with some tricks that will help you collect lots of free rings in a short period of time. As you know, rings are used to buy power ups and other in-game benefits that will help you along the way. As you advance in the game the power ups become more and more expensive and as we are talking about a freemium game, you will be asked to purchase rings for real money. You don’t want to do that, unless you are rich and have money to spare on virtual coins :). Read also: How To Get Rid Of Video Ads for Free in Sonic Dash for Android. Trick 1. You must have noticed that at the beginning of each level, you raise around 80-100 rings until you reach the first checkpoint. This takes around 30 seconds to be reached. So what you can do here is to raise as many rings as you can without thinking about sliding on enemies to get points or anything else. Just gather all the rings that you see, and at the first checkpoint make sure you take the path with the ring collector. This will ensure that the rings are stored safe. Now as soon as you reach the ground just hit an obstacle and start again. Do this 10 times, this should take you around 5-10 minutes, and you got yourself around 800-1ooo free rings. Hint: Do not hit retry, because all the rings that you gathered, even if they were stored at the checkpoint, will not be counted. Just hit an obstacle. Trick 2. You know how frustrating it is to gather 200 or more coins and then hit an enemy or some spikes and lose them all. Well, if you want to store them faster and there is no checkpoint close to you, there is something you can do. If you hit a big obstacle, a bridge or a pole or anything else that kills you instantly without taking your rings, than those rings will be added to your bankroll. So next time you get a big bonus and you’re afraid you’ll hit something and lose it, just do this and start over. You can also use the free rings option that the game gives you and watch sponsored videos. This will also give you a bunch of free coins. As long as you don’t spend real money for virtual coins, try it.